Two sides are better than one! 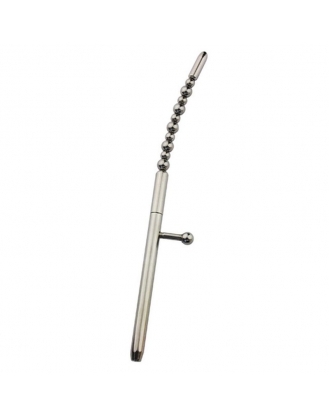 This unique double-ended urethral toy offers amazing and different sensations from both sides. Three pieces combined to make one somewhat intimidating toy for your boy. If you're into raising his heart rate from the very sight of a toy, then this is the one to bring the seductive fear into his eyes.